and Southern Stars winners DONNA FISK & MICHAEL CRISTIAN. Bob was honoured with The Charlie Lamb Award for Excellence in Country Music Journalism in the Lifetime Achievement Category. 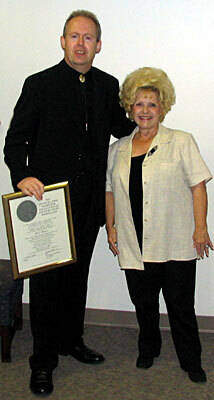 The fourth annual Charlie Lamb Awards were presented during the International Country Music Conference at Belmont University in Nashville on Friday, 28 May 2004. See the AWARDS page for more coverage, including a video of the presentation by Brenda Lee! 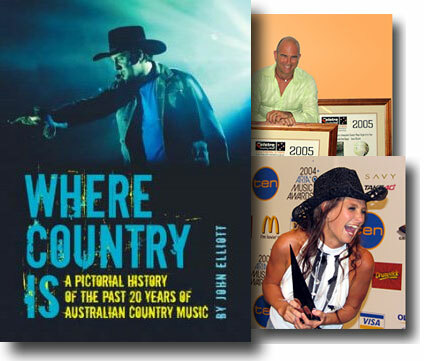 Where Country Is – the latest book from John Elliott brings the history of country music since 1985 alive and includes historical highlights, artists biographies and “over 200 of the best images ever taken”. 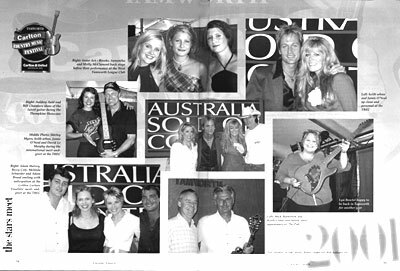 The official book launch was a feature event at the 2006 Telstra Tamworth Country Music Festival. 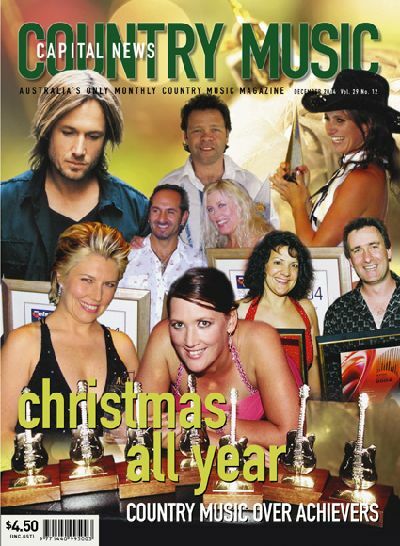 Bob was delighted that John Elliott (a fellow Charlie Lamb Award winner) chose two of Bob’s photographs for inclusion in his book – James Blundell’s triple win at the 2005 (Mildura) Southern Stars and Kasey Chambers 2004 double ARIA Award win. Published by Rural Press Limited. Issue 134 of Metro Magazine – Australia’s oldest, continuously published film and media magazine. Included is Bob’s 1500-word combined review of Clinton Walker’s book Buried Country: The Story of Aboriginal Country Music (Pluto Press), the movie Buried Country (Andy Nehl, Film Australia) and the CD Buried Country: Original Film Soundtrack (Larrikin, 2000). 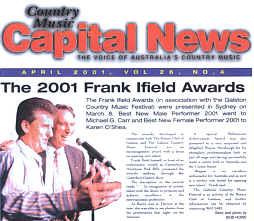 Below: Capital News page one, April 2001. Photo & story by Bob.